Even before we launched our Spyro resin statue on 18 July 2017, there already was a cry for a PVC version of Spyro the Dragon. A resounding 1,105 people petitioned for one. If the resin version turned out for the better, then First 4 Figures' Alex Davis would have looked into acquiring the license for the PVC version. Although TT Poll #22 for Spyro the Dragon only had 438 Yes votes, to our astonishment, our Spyro resin statue was a massive success. The edition size of the Exclusive version hit 1,300 pieces worldwide! To express our utmost gratitude, we decided to give back by upgrading the design of the gem box that comes with the Exclusive version. 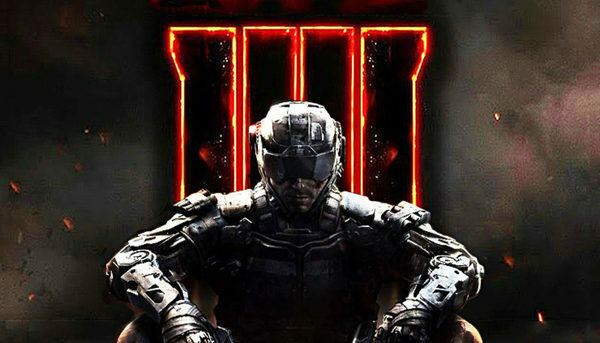 Game Informer sat down with Treyarch's design director David Vonderhaar for a rapid-fire interview. During the interview, Vonderhaar is asked whether Call of Duty: Black Ops IIII could come to Switch. After a very hearty laugh, Vonderhaar says that he, "just makes the shoes." In other words, it's not Vonderhaar's decision. Still, he finds the idea of the game coming to Switch pretty laughable. We have reached out to Mr. Vonderhaar for comment/clarification on his statement. Crash Bandicoot N. Sane Trilogy is going to see release in Japan on Oct. 18th, 2018. SEGA will be handling the publishing duties for the Switch. 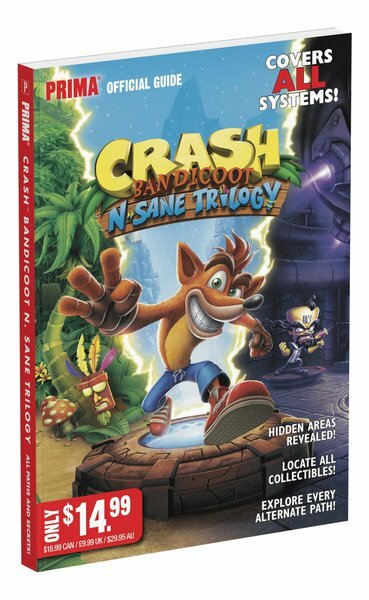 This will be “Bonus Edition,” which includes the “Future Tense” bonus stage for Crash Bandicoot 3: Warped. 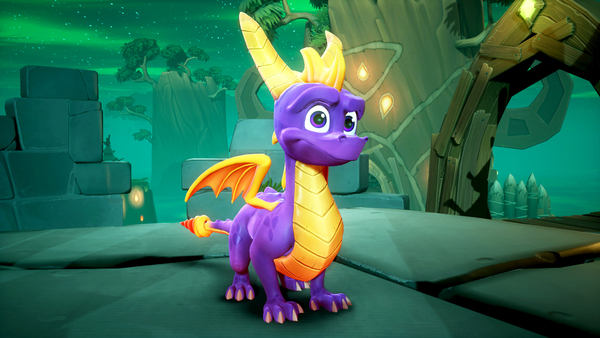 Just as with the Crash Bandicoot N. Sane Trilogy, many believe that Spyro Reignited Trilogy is coming to Switch. I mean, one of Nintendo's own websites had a full page for the game! Now the latest bit of info that points to a potential release comes from the game's official website. Some versions of the Spyro Reignited Trilogy site list the Switch as a preorder option for the game, which is about as official as you can get. Obviously Activision hasn't confirmed a Switch version yet, but I'd say it's a done deal at this point. We've already shared the Top 20 software sales for the UK during the week ending July 14th, 2018, but now we have some specific insight into the top titles. The top of the charts featured games that were very close to one another in terms of total sales, and Octopath Traveler's performance was actually the strongest when you consider revenue made. Your favorite marsupial, Crash Bandicoot™, is back! He's enhanced, entranced and ready-to-dance with the N. Sane Trilogy game collection. Now you can experience Crash Bandicoot like never before. Spin, jump, wump and repeat as you take on the epic challenges and adventures through the three games that started it all, Crash Bandicoot™, Crash Bandicoot™ 2: Cortex Strikes Back and Crash Bandicoot™ 3: Warped. Relive all your favorite Crash moments in their fully-remastered graphical glory and get ready to put some UMPH in your WUMP! Comprehensive Coverage: Make you sure you don’t miss a thing. Death Routes, Colored Gem Paths, Hidden Areas, and more! Find All Collectibles: Collect every Gem and Relic. Experience Everything: Unlock Secret Endings and Alternate Paths. Digital Bonus: Unlock your digital version of this guide with the free code included inside. Access your digital guide anytime, anywhere, on any web-enabled device. This guide is due out June 29th, 2018. Check out the Amazon listing here. Excited about Crash Bandicoot N. Sane Trilogy on the Switch? If so, you can thank one lone employee over at Vicarious Visions. When the game launched on PS4, he sat down over the weekend and tried to get a single level from the game running on Switch. He obviously succeeded, which lead him showing his work to the higher-ups. 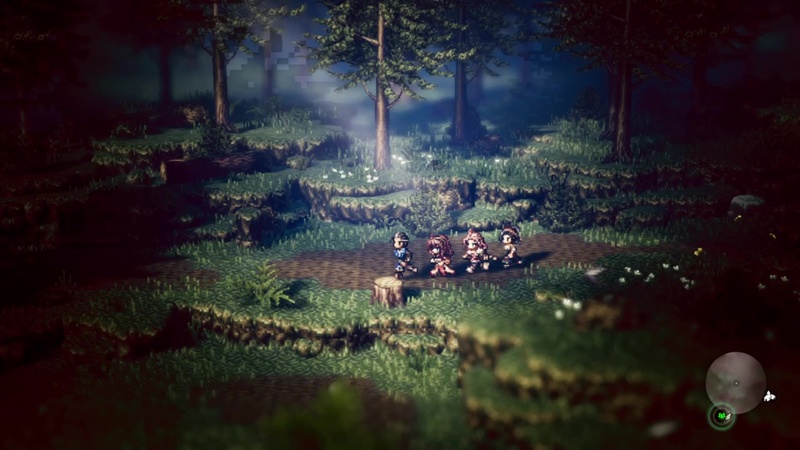 After seeing his work, the port to Switch was given the greenlight! 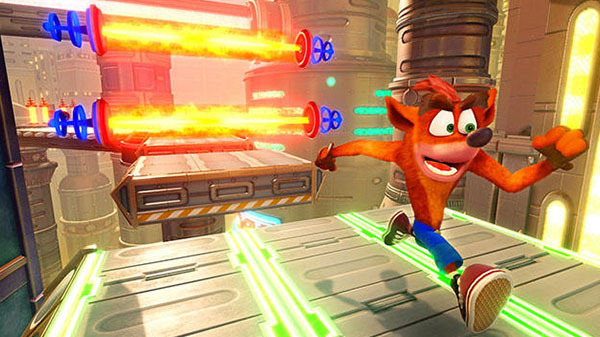 Future Tense brings an extra layer of difficulty to Crash Bandicoot 3: Warped’s Future world, as players dodge rockets, destroy robots and leap over lasers while ascending a massive futuristic skyscraper. 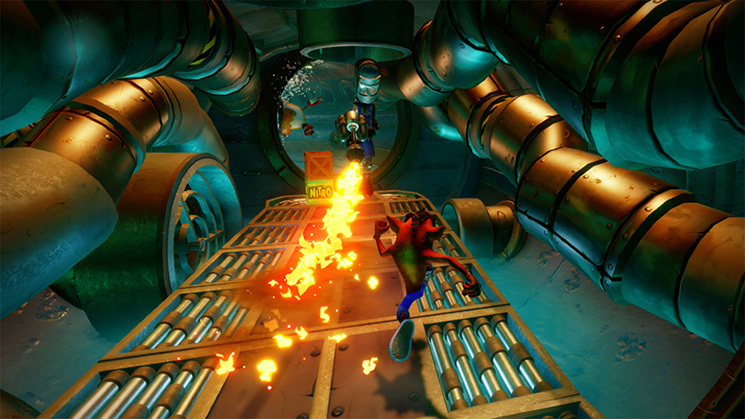 This brand-new level pays homage to the unreleased Waterfall level from the original Crash BandicootTM game. Soon franchise fans (and speed runners) will have something BRAND WUMPING NEW in Crash Bandicoot N. Sane Trilogy that will challenge even the most skillful Crash players.